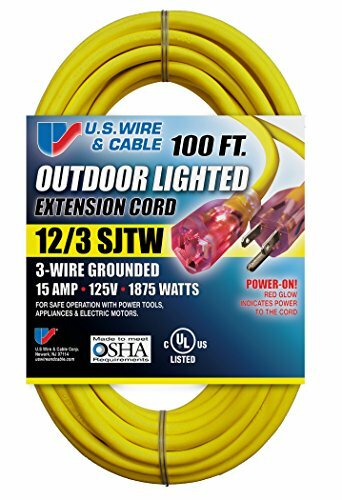 All U.S. Wire cord sets and Pow-R-Blocks are double insulated - individually insulated conductors surrounded by an outside jacket - with solid molded plugs. Outer jacket will not mar floors or walls and is resistant to abrasion and deterioration from moisture and sunlight. Temp-Flex-35 was developed to meet the demands of contractors for a super flexible vinyl cord set. Specially formulated SJTW vinyl outer jacket won't crack or break, even at temperatures as low as -35-degrees F. Highly visible yellow color for safety.